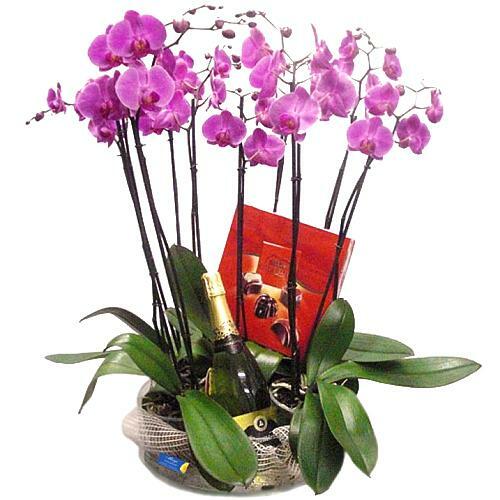 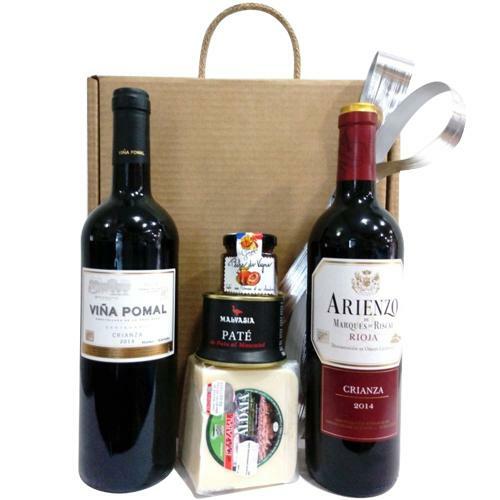 Item Description : Let your loved ones dive into the pool of flavors with this Luxurious Festive Ambiance Wine N Assortments Box you send them to make their occasions special. 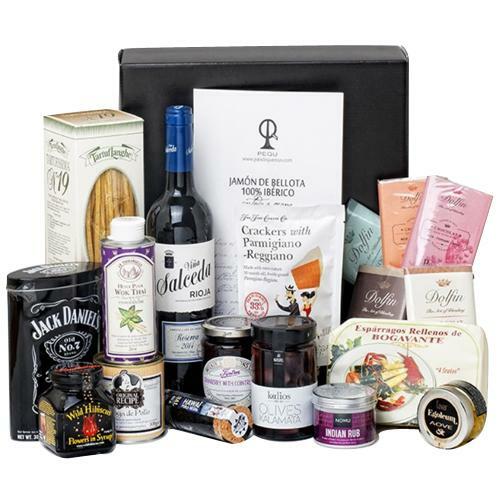 This delightful Gourmet Gift Pack is filled with 1 Can of Mussels with Trunk Wakame, 1 Cockle Can of Kombu Ginger Sugar, 1 Can of Spaghetti with Garlic Razor Sea and 1 Can of Clam with Sake and Kombu. 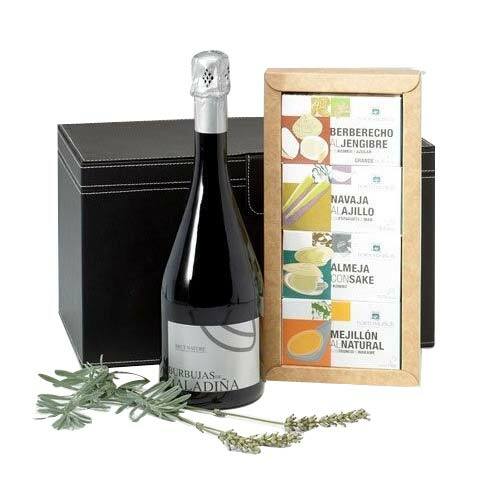 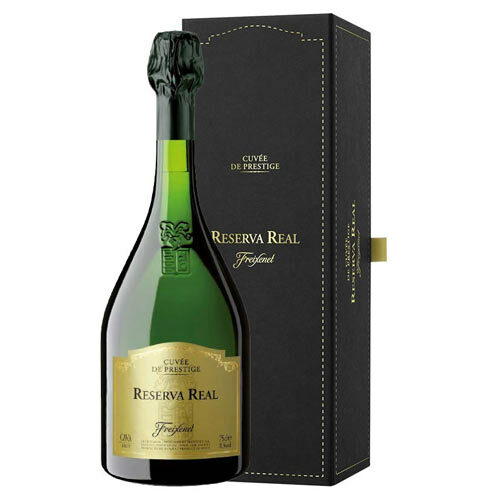 All these items are paired with a Bottle of Bubbles Baladinas (the first Galician Brut made with 100% Albarino Grape).